RJTR was responsible for architecture, interior design, structural, MEP design, Energy Star consulting, and FF&E design services for this 558,921 sf, 21-story residential tower. 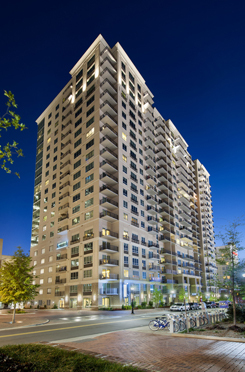 The 352 unit tower is located at the corner of South Mint Street and West Martin Luther King Jr. Blvd. in Downtown Charlotte. 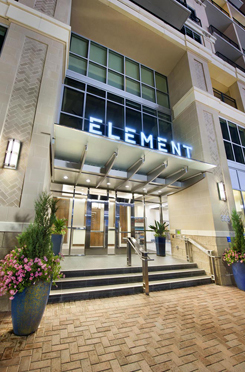 Residents of the Element Uptown take full advantage of beautiful skyline views and being in the middle of the action from Bank of America Stadium, BB&T Ballpark, Romare Bearden Park, nearby restaurants and other attractions. 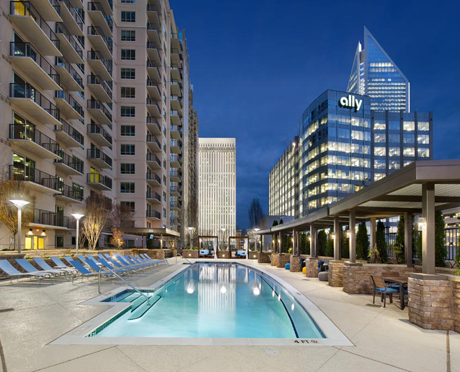 The project features a large open air amenity plaza with pool and pool bar pavilion located above the parking structure. The six-story parking structure is fronted by residential units and accommodates 458 cars. The project also features a 1,683 sf club room located at the amenity plaza level and a 1,590 sf fitness center located at street level.